Today, in the last day of March, I am continuing with John Kennedy and the Federal Reserve topic. In the previous post I talked a lot about how the Fed came to be and its role in US. Also, I said that it is directly linked to Kennedy’s death. Since 1913 the Fed plays the most crucial role in the US economy – it controls its monetary matters, that is, the supply of money in a country. Because it controls money, it controls people because this makes it in charge of food and shelter. Think about it: unless you live an off-grid life somewhere in the wild, in most cases, money is what gives you access to food and shelter. Since food and shelter is a means to physical existence, to put the pieces together, here is the reality – non-transparent, profit-searching corporation controls how well you live or whether you live at all. How does this sound to you? And those who own the Fed are not hiding this reality. Just listen to what one of them said! I already referred to this quote in the last post – it effectively portrays how confident the world elite in their actions. In 1960s when Kennedy was around the Fed was doing the same thing. Whenever the government needed more currency the Fed lent it to it at interest. This gradually started to result in rising national debt. Inflation started to move upwards as well. And this is while it was never clear where and how exactly the Fed spent generated money. Kennedy saw all this. Also, most likely Kennedy could see how both will explode if the Fed continues with this role. As a leader who truly cared about the wellbeing of common people he figured he must do something about this all. Yes, if you look at the US debt and inflation back then they were magnitudes smaller compared to today’s but at the time their levels seemed huge compared to those of the recent past. What did Kennedy want to do with the Fed? Nothing extraordinary. All he wanted is to transfer the duty of regulating money supply back to the Treasury Department. Keep in mind that before 1913 the US monetary system was in the hands of the Treasury Department, the Congress, which is, contrary to the Fed, is part of the government. So, he went ahead and materialized his plans. On June 4 of 1963 Kennedy signed the Executive Order 11,110. That allowed the Treasury Department to pour 4 billion in United States Notes into circulation without bothering the Fed. A critical difference here – as opposed to Federal Reserve Notes issued by the Fed which were backed by nothing, United States Notes were backed by silver. Also, notice that in early 1960s there were three types of circulating paper currencies: Federal Reserve Notes, United States Notes and Silver Certificates. Out of them, only Federal Reserve Notes were an unbacked currency. Two other were backed by silver at the time. As you may guess, today there are only Federal Reserve Notes in circulation. Kennedy hoped that eventually Federal Reserve Notes will naturally be pushed out of circulation. Not only this would have liberated the government from the interest burden, by having a currency that had to be backed by something this would have put somewhat a limit on the amount of new currency. “Somewhat” because the Treasury Department is not that fuzzy and honest either – it, too, had issued unbacked currency in the past. Yet still, to some degree, this would have prevented the debt and inflation reaching their current levels. Sadly however, and this is a big “however”, just a little more than 5 months later, on November 22 of 1963, Kennedy was killed. Soon after that, all currency issued by Kennedy was taken out of circulation. This marked the end of Kennedy’s goals to bring the economy back into relative balance that the country enjoyed before 1913. When Kennedy called for a return of America’s currency to the gold standard, and the dismantling of the Federal Reserve System – he actually minted non-debt money that does not bear the mark of the Federal Reserve; when he dared to actually exercise the leadership authority granted to him by the U.S. Constitution… Kennedy prepared his own death warrant. It was time for him to go. 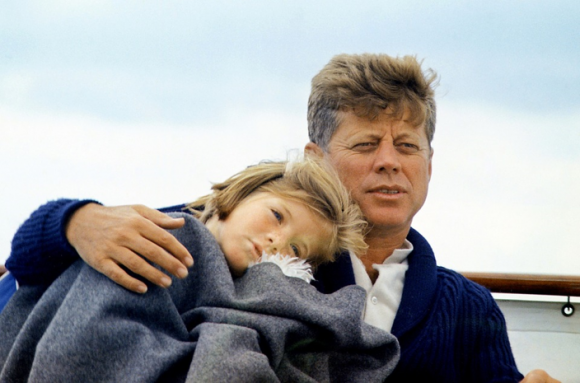 The link between the Fed and Kennedy’s death is easy to see. Kennedy turned out to be a small but annoying roadblock that could potentially pose a threat to the big plan of the world elite. Yes, there is a plan. Don’t think that all those conspiracy theorists are just a bunch of paranoiac folks. Why not? It is very natural. Hey, even if such a small unit as a family is a pyramid, don’t you think that the world societies are parts of the great big pyramid as well? And by assassinating Kennedy their message is obvious – if you stand in the way of the Fed it is very likely that you are going to be removed. Simple. That probably was a warning to all future leaders of the US – don’t interfere with the Fed, let it enjoy the monopoly of the US monetary system and do as it pleases altogether. Whether you agree with this as an individual is a different story. Now, how are things today? Does anyone dare to challenge the almighty Fed? Well, there are rumors that the current president Donald Trump wants to audit it. Yet considering his contrasting personality it is hard to say whether it is going to happen. On the other hand, by announcing his intentions, he already put himself on the red flag list. Again, the full audit was never done on the Fed. At any rate, the only thing left to say is “be careful, Mr. Trump”. Update for April 2, 2017: A legislation letting the US government to audit the Federal Reserve seems to be approved. See here.